It’s particularly fun to write up this post, because the winemaker is quite literally our next-door neighbor. Christina tells the story of when we moved into our house in 2003 – Ben Smith and Gaye McNutt came over to welcome us to the neighborhood, and brought a bottle of Cadence wine. Christina promptly thanked them and put it on the fireplace mantle while they talked. A few minutes later, I came up from downstairs to say hello. I saw the bottle and I thanked them as well – I told them I had heard great things about the wine and that I looked forward to trying it. Imagine our surprise when they said they were glad to hear it, because it was their wine! Over the years, we’ve bought and poured a lot of their wine, and I have always enjoyed the Bordeaux style blends that Ben produces. 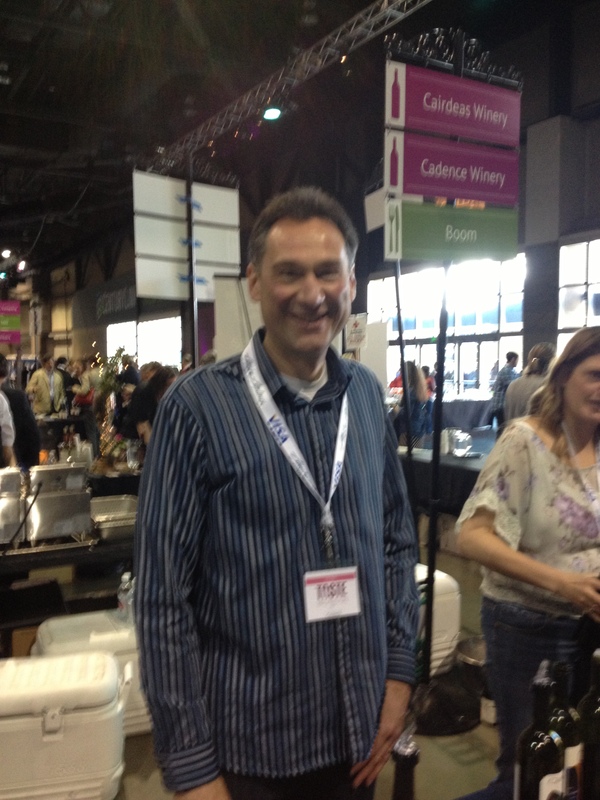 Ben Smith of Cadence Winery, winemaker and neighbor extraordinaire – hope we get as lucky in California! The Tapteil bottling has always been one of my favorites from Cadence and they age beautifully. As a side note, the 2001 Tapteil is drinking really well right now and there is no rush to pull the cork. Just for another reference point on Cadence wines, both the 2001 Tapteil and 2001 Camerata are drinking very well right now, but both come across as a little younger than the 2001 Ciel du Cheval does. The 2004 Ciel du Cheval is drinking beautifully right now and is a slightly bigger, darker version of the 2001. Ben and Gaye are really making some great wines and they keep getting better. Cadence is well worth checking out if you have not tasted any of their wines before – definitely one to watch out for!